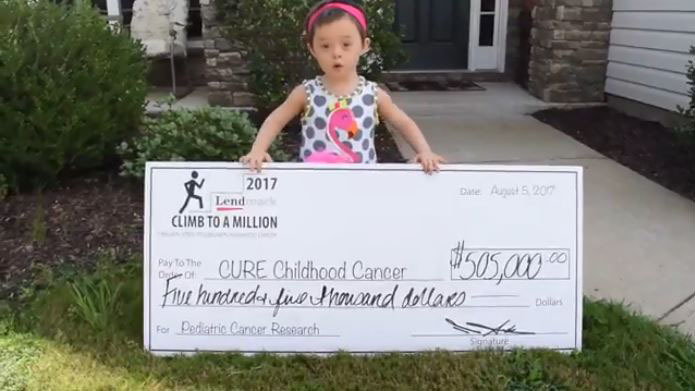 On Saturday, August 5, 2017 at the Oconee County High School Football Stadium, Lendmark Financial Services, corporate partners and volunteers raised over $505,000 for CURE Childhood Cancer during the 2nd Annual Climb To A Million fundraising event. 100% of the proceeds donated went directly to CURE. Lendmark’s branch managers and executives across the country gathered in Atlanta, GA from February 15th-17th, 2017 at the Marriott Marquis in Downtown Atlanta to review the company’s performance in 2016 and to identify opportunities for 2017. This meeting included presentations from all executives, such as CEO Bobby Aiken. Lendmark Veterans Integration Program (VIP) - Aligning with our parent company, The Blackstone Group L.P., Lendmark Financial Services, LLC has committed to supporting and hiring military veterans and their spouses. Lendmark employee Vickie Stephens received the American Financial Services Association (AFSA) Outstanding Employee Award earlier this year. On May 2, 2016, Lendmark Financial Services, LLC completed the acquisition of 127 branch offices and related loan assets from Springleaf Financial. Springleaf divested the branches as a condition of its acquisition of OneMain Financial. CivilianJobs.com, where America’s military connects with civilian careers, announced the finalists for the Most Valuable Employers (MVE) for Military today. Marking the eighth year of its publication in 2016, the MVE recognition serves to help military-experienced job seekers and veterans identify the top employers to target for civilian careers. ACI Worldwide, a leading global provider of electronic payment and banking solutions, announced today that Lendmark Financial Services has selected its UP Bill Payment Solution to increase consumer convenience and reduce payment processing costs, as more of its customers use debit cards to make payments. It has been an unprecedented year for Lendmark Financial, LLC, as the consumer finance company continued its expansion strategy. In 2014, the company opened 32 de novo locations, acquired six locations in North Carolina and hired 287 new employees. While expansion has been a priority, it is not the only critical initiative of the company. On September 30, 2014, Lendmark Financial Services, LLC acquired the assets of Green Cap Financial, LLC, located in Burlington, North Carolina. Green Cap Financial was a privately held consumer finance company with seven locations in North Carolina. Founded in 1997, the company provided personal and auto loans to more than 3,500 customers.